Exercising isn’t the most thrilling experience. While runner’s high — that elusive release of endorphins — does exist, scrounging up the energy to wilfully run for an extended period of time can be exceptionally difficult. The treadmill can help: instead of focusing on a destination or specific distance achievement, you have the freedom to zone out. Blast some Metallica, get into your groove, and hit that fake pavement like you’re running away from a mob boss. Even in the sanctity of a gym, distractions persist. Maybe you’re focusing on a TV show that’s airing across the room, or one of your friends walks behind the treadmill and catches your attention, or maybe you saw someone who cares about fitness as much as you do; regardless of the event, you must be focused on looking forward. It is common for your feet to follow in the same direction as your eyes, so keep them in line with the treadmill tracks and you won’t find yourself tumbling tush over teakettle. The handrail, though there for a reason, should not be depended upon once you’ve gained some stability. If you find yourself relying on its support, it may be a sign that the speed or incline is set too high; adjust both accordingly to reduce the stress placed on your arms and shoulders. You’ve heard the rumors that exercising in sneakers is ‘unnatural’ and does more damage than good. It’s time to acknowledge those as rumors and nothing more; there is heat and friction created by the moving treadmill belt that can injure your feet, causing burns, scrapes, and blisters. Furthermore, if you’re attending a gym, keep in mind that many other people are also attending that gym; going barefoot increases your chances of developing a fungal infection, explaining why many gyms prohibit the act. If you’re not sure which shoe would be right for you, check out this article on the best treadmill shoes. So, you’ve decided you need a break. Whether you’re headed for the bathrooms or are stopping for a chat with a friend, it is imperative that you wait for the treadmill to stop completely before stepping off. 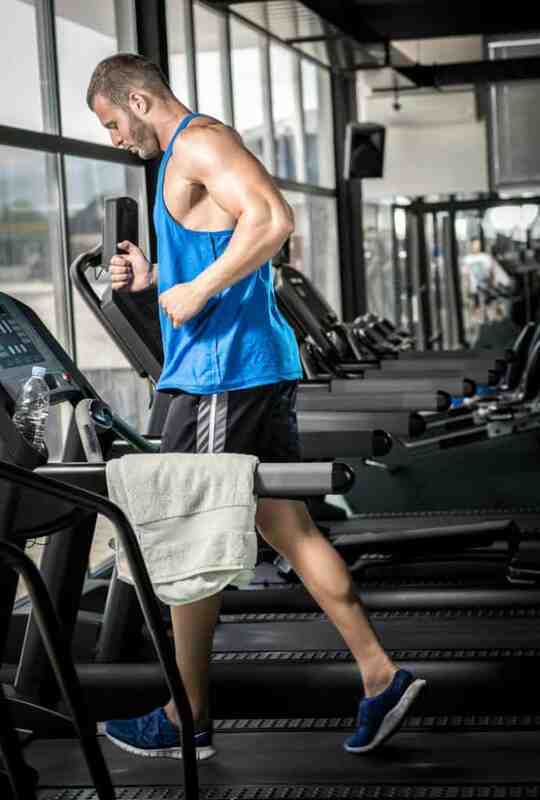 In addition to the danger posed to the user attempting to leave a running treadmill and step onto solid ground, a moving treadmill should be shut off entirely to protect everyone in the area — that rolling belt can snag a lot in its clutches. 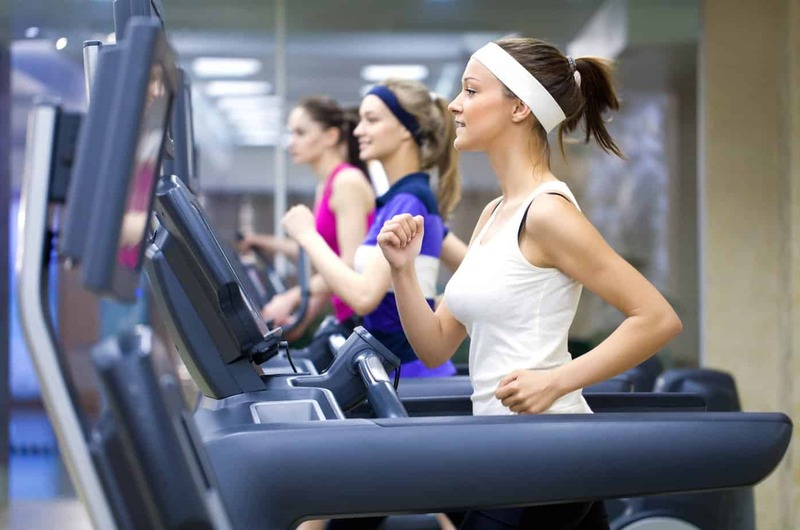 Working out on a treadmill is usually the first step that beginners take in their exercise routine. Regardless of your skill level, it’s important that you don’t push yourself too far. Know your limits and what you can and cannot handle; compared to the risk of a nasty fall, moving at your own pace is worth it. Good for you for getting out there and dedicating yourself to a fitness routine. You’ve already tackled your insecurities, managed your fears, and set the future in motion. If you commit just as strongly to being safe, you’ll find that your fitness goals are not just achievable, they’re right around the corner.